Reduces the amount of light which makes it out of the headlights and onto the road, where you want it. It impairs the all important scattering of the beam, causing glare for other road users. It is possible to fail an MOT for cloudy headlights as it ruins the light scattering. A local garage tried to charge us £60 just to clean our cloudy headlights so it's well worth looking at alternative methods and doing it yourself! There are many ways of cleaning headlights which have gone foggy and using Bar Keepers Friend is just one of them which I have used with good success so I thought I would share. 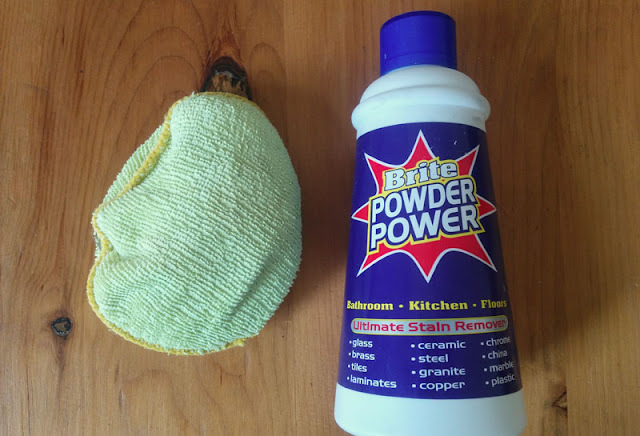 To avoid confusion from my photos, Bar Keepers Friend recently re-branded to Brite Powder Power, so they are exactly the same product, just a different label. Bar Keepers Friend is a more familiar brand which has been around for quite a while and has many uses around the home including cleaning kitchen pans, toilets and as covered in one of our previous posts, it is also excellent at cleaning car windscreens. Cleaning cloudy car headlights with Bar Keepers Friend (Brite Powder Power) is very quick and easy and in a few minutes you will have lovely clear headlight lenses again. The advantage of using this method to restore headlights instead of wet sanding them is that Bar Keepers Friend does not scuff up the lenses so much that you need to polish them back clear again. For really badly cloudy headlights it may not be enough but for the price of Bar Keepers Friend on Amazon (£3.10 with Free Delivery) it's certainly worth a go. This is just to remove any grit which might be sitting on the headlights. 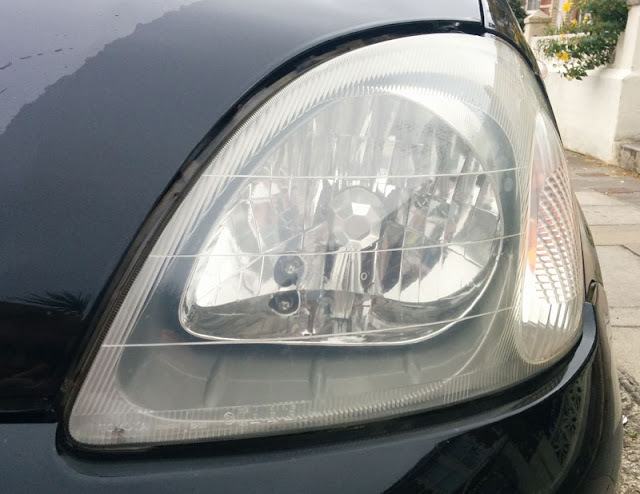 Even though the plastic used in headlights is generally very hard-wearing, you don't want to risk accidentally creating scratches in the lenses or paintwork around the headlights when you rub in the Bar Keepers Friend. Step 2. Pour a small amount of the Bar Keepers Friend onto the damp polishing pad and work into the headlight lens. The moisture from the polishing pad will turn the powder into an abrasive paste and you should be able to feel that it is rough against the headlight lens. You should apply a good amount of pressure and polish in a circular motion being very careful to avoid touching the paintwork as this could mark your paint. Depending on how badly fogged your headlights are this could take up to 15 minutes of constant polishing for each headlight and you will need to re-apply the powder to the polishing cloth every couple of minutes. Who said saving money would be easy? Step 3. Once you are satisfied that the headlights have been restored then you need to gently wash all the powder residue from around the headlights and bodywork. This is easily done with some water and sponge. Step 4. Stand back and admire you restored car headlights. Tried this out and impressed (or unimpressed) with the results? Please leave your comments below.